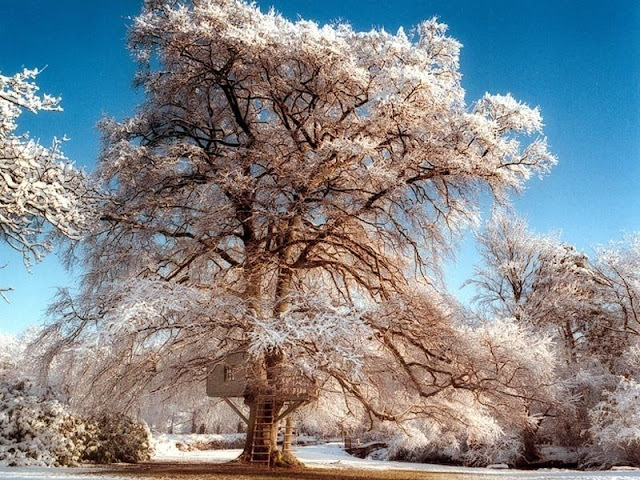 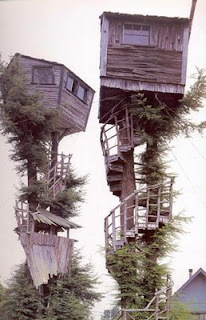 Gypsy Caravan Essentials: Tree Houses! 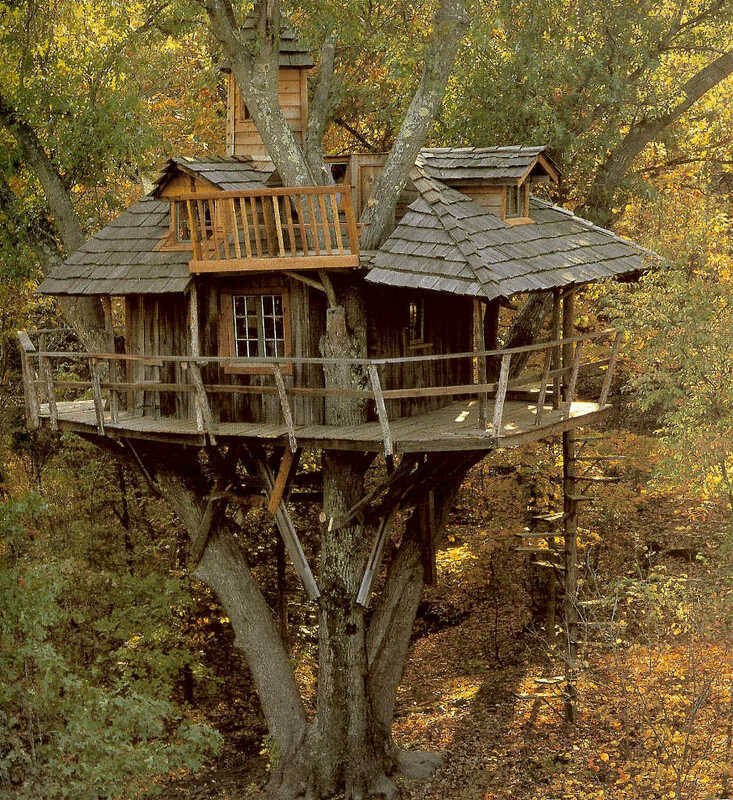 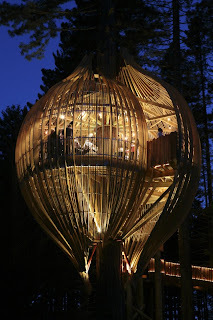 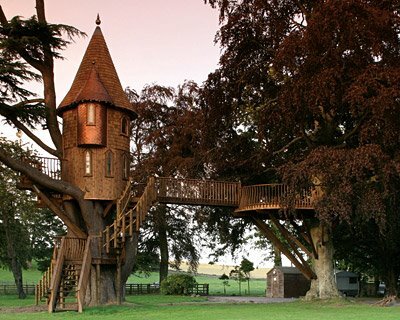 I love a good treehouse, as any normal person does. 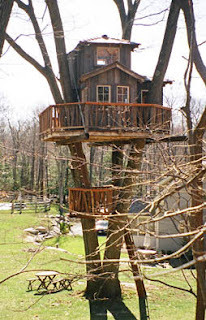 I didn't have one growing up, although I did have a marvelous climbing tree with rope ladder. 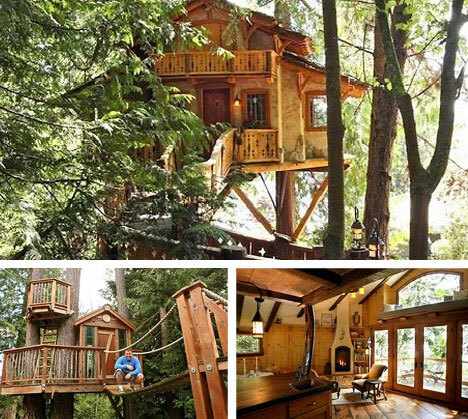 I would very much like to have one when I have my house with the caravan parked in the back. 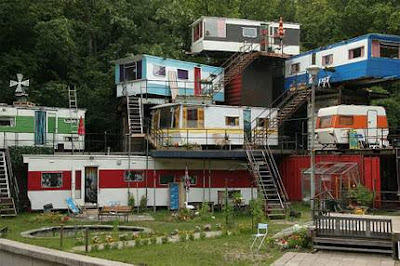 This is is really bridging the gap between hideous and wonderful. 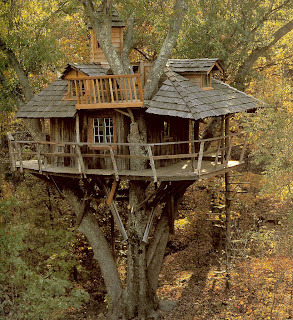 I'd certainly be thrilled to go stay there if it belonged to a friend, not quite sure I could deal with it on a daily basis.